A few weeks ago while writing I realized that something in my story just wasn’t sitting right. I had my characters and I knew the basic plot points but it was feeling a bit flat. I realized that my story lacked tension. Knowing what was wrong I had to scrap nearly half of what I have written and rewrite. So take my advice and start adding tension now before you have to restart completely. Tension is all about opposing forces. When two characters argue, it’s tension. If your character is struggling with a decision, it’s tension. There are so many chances for tension that I have divided it into different types of tension. 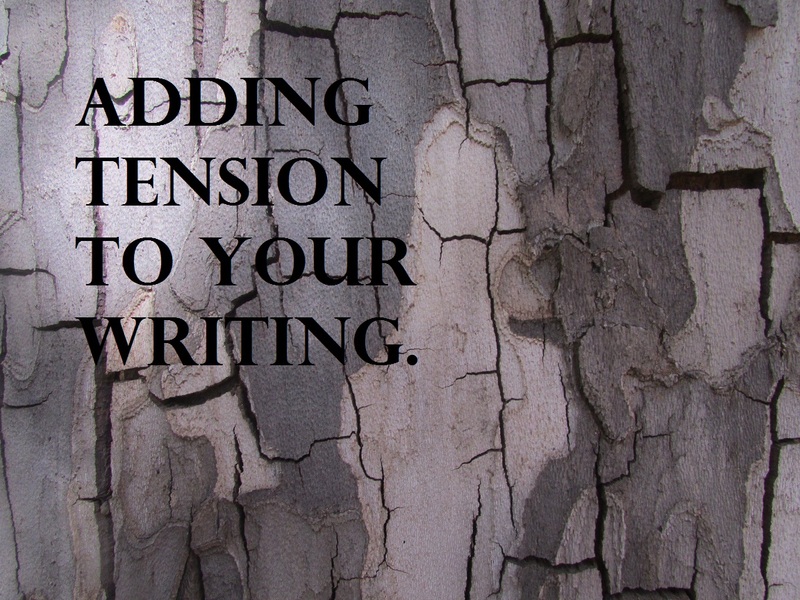 The plot tension is the tension that is written in your outlines. It is your villain versus your Hero. Your plot tension is when what your MC wants clashes with what your Villain wants. To maximize this tension ask yourself, why are your MC and villain on opposite sides. What does each one of these characters want and why does that mean they cross paths? When characters dislike or disagree with each other there is tension. To build on this tension make sure your characters have opposite traits and react to things differently. If your MC is selfish make sure there is a selfless character in your story. If your MC is a daredevil make sure there is a character that is timid. Give your characters reasons to argue and fight. Scene tension is when things go wrong. This kind of tension is when your character is trapped in a situation and need to get out as fast as possible. If a character is trapped in a burning building there is scene tension. If a character is being hunted by the law there is scene tension. Ask yourself, what does the character want in this scene? What does your character fear in this scene? Then make sure the worst thing possible happens. This is the last one I’m going to mention in this post and it’s when your character has to make a difficult decision. Let’s say your character has to choose between saving themselves and others. While your character is wondering what to choose there is tension. Make sure these decisions are personal to your character. Both sides should be equally bad and it should seem like there is no way around it. Is there anything I missed or did I not explain well enough? Please feel free to ask questions and I’ll make sure to help. Good advice! I was helping my (14 yo) brother with his English homework earlier and trying to explain how different literary devices created a different type of tension for the climax. It’s important to remember what words you use, too! But I do agree with you; all writing needs tension otherwise the reader wouldn’t keep on reading! Your right the words we use are important on how the tension plays out. Thanks for reading and giving me something to think about.